Renowned Geelong based artist Meri Ljubanovic specialised in resin, needed a website to present her works to the public. 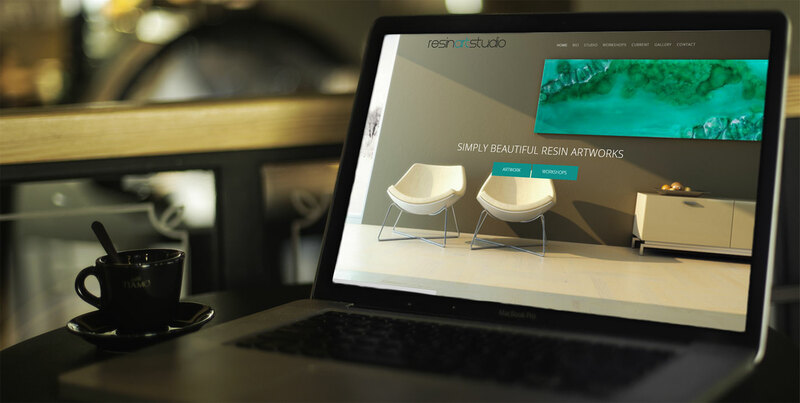 Resin Art Studios required the development of a simple gallery website and an identity that reflected the artists creativity and style. An online shop will soon be developped and added to the site. Graphics : creation of a modern logo and a minimalist visual concept to allow for the artist's works to speak for themselves. Print : creation and printing of advertising flyer. Creation of a short film from an assemblage of photos taken by dkb communication presenting the evolution of a painting.